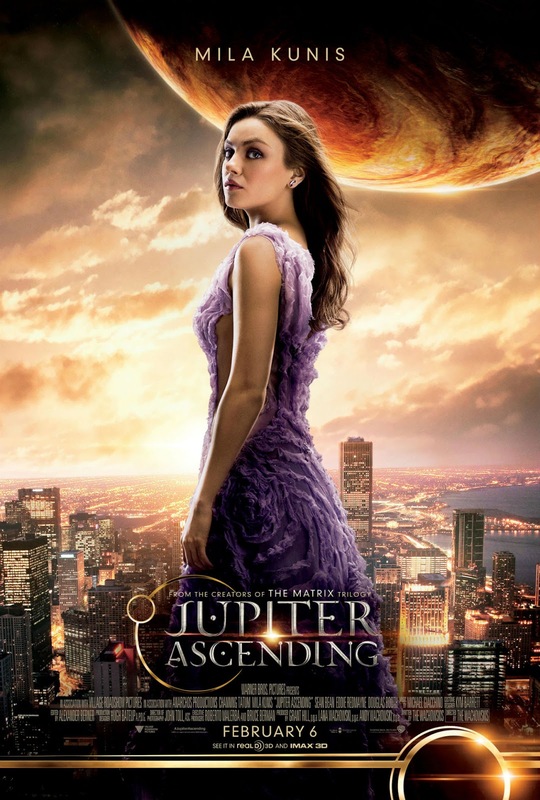 Home / FILM POSTERS / Check Out The New Character Posters for "Jupiter Ascending"
Check Out The New Character Posters for "Jupiter Ascending"
Warner Bros. Pictures and Village Roadshow have four new posters (via IGN) for Andy and Lana Wachowski’s Jupiter Ascending, which hits theaters on February 6, 2015. 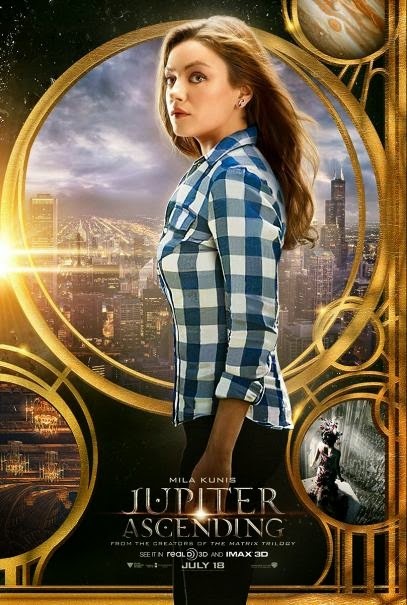 Check out the character posters in the below! 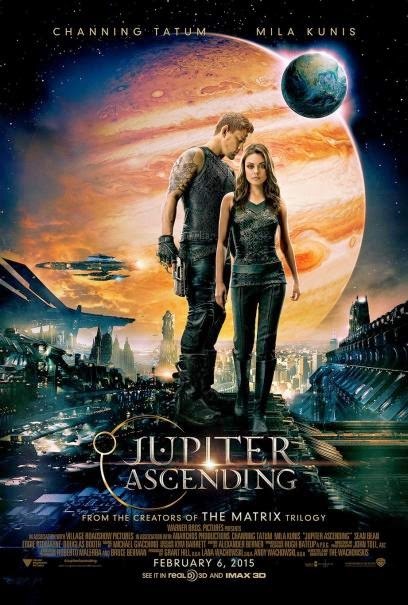 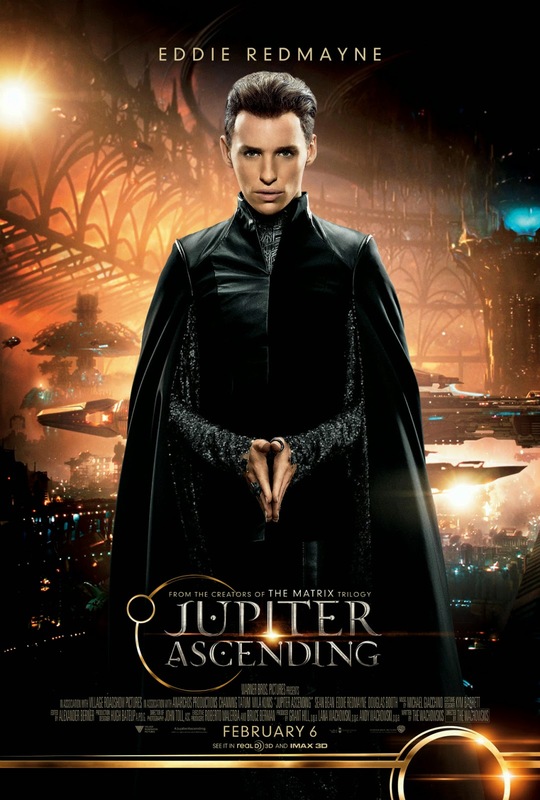 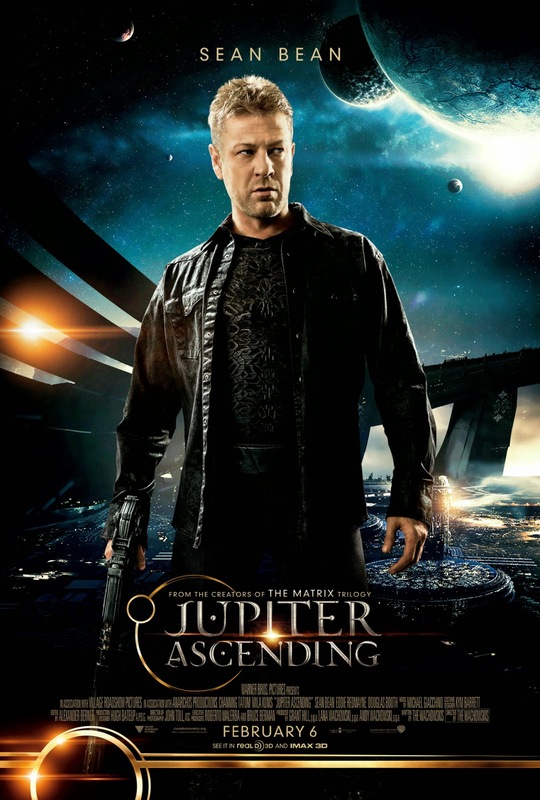 Starring Channing Tatum, Mila Kunis, Sean Bean, Eddie Redmayne, Douglas Booth, Tuppence Middleton, Doona Bae, James D’Arcy and Tim Pigott-Smith, the film follows Jupiter Jones (Kunis), a young woman born under a night sky, with signs predicting that she was destined for great things. 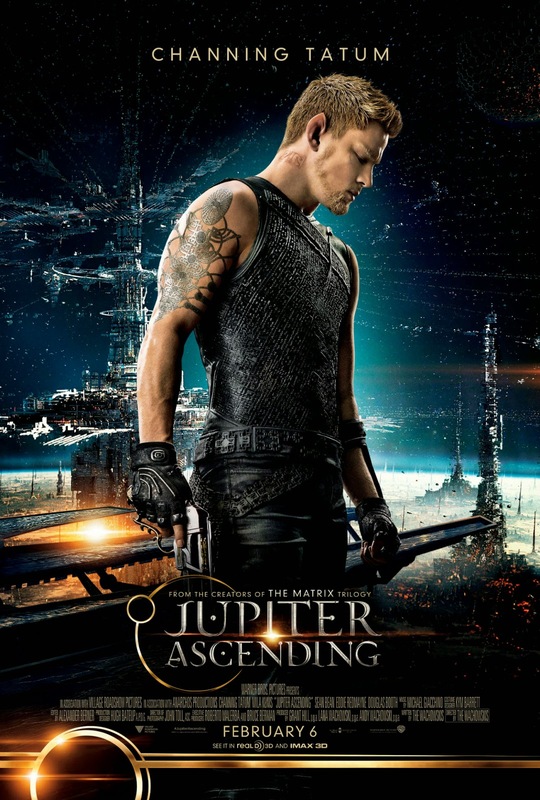 Now grown, Jupiter dreams of the stars but wakes up to the cold reality of a job cleaning other people’s houses and an endless run of bad breaks. 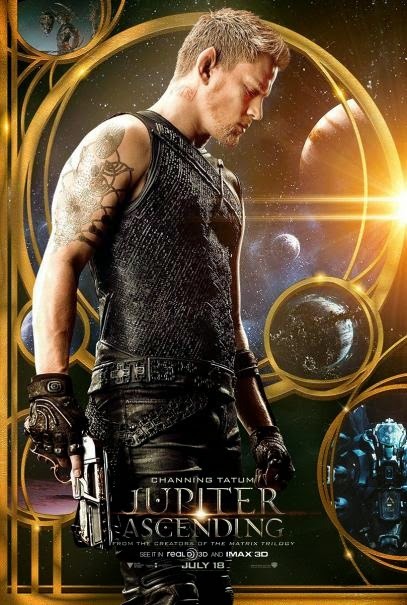 Only when Caine (Tatum), a genetically engineered ex-military hunter, arrives on Earth to track her down does Jupiter begin to glimpse the fate that has been waiting for her all alongher genetic signature marks her as next in line for an extraordinary inheritance that could alter the balance of the cosmos.